According to the most recent “Asset Quilt of Total Returns” put together by Bank of America Merrill Lynch, commodities are the top returning asset class of 2018 so far. 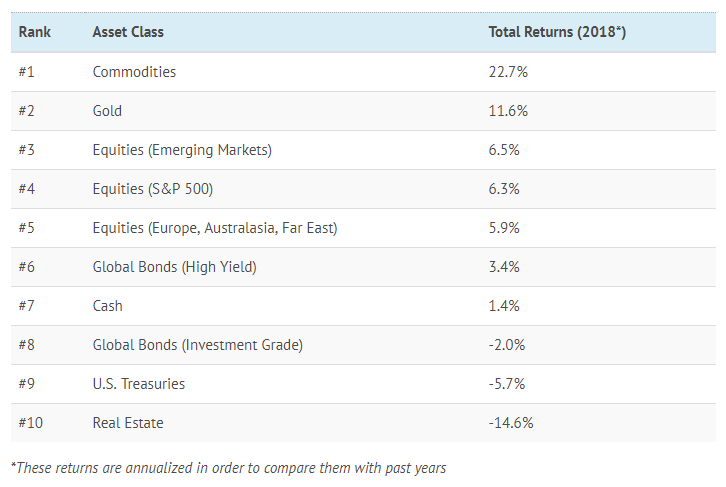 The chart, which shows the total returns of asset classes over the years, has commodities at an annualized return of 22.7% year-to-date. 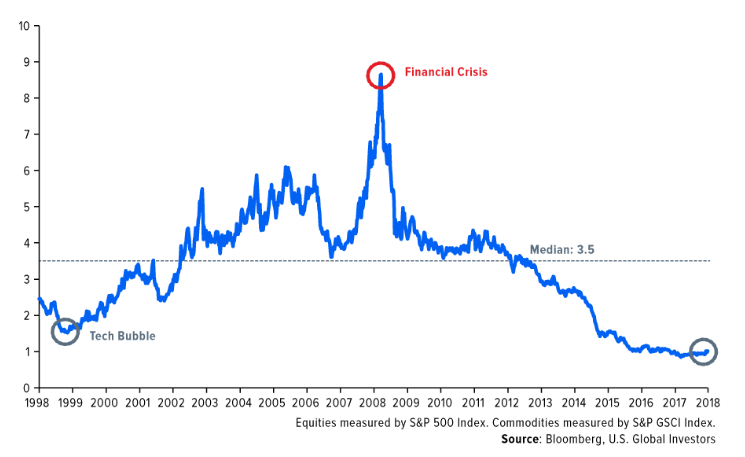 Interestingly, commodities haven’t been on top of BAML’s chart since the years 2000 and 2002, which were at the beginning of the last commodity supercycle. 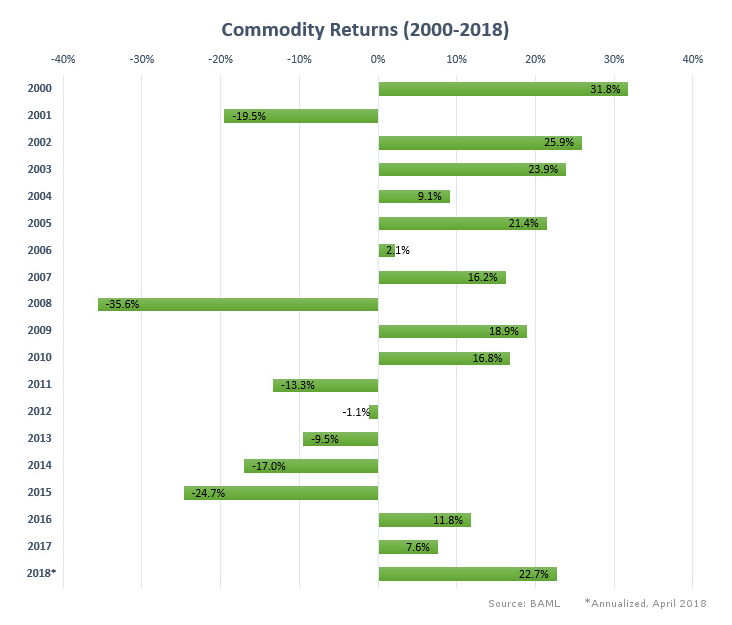 Here is how commodities have fared from 2000 to 2018, based on annual returns. If the commodity sector keeps the pace for the rest of 2018, this will be the best year for the asset class since 2003. For various reasons, commodities have bounced back in the last three years. The return of oil prices have helped to resurrect the sector. Ironically, the anticipated metal demand from renewable energy – which will be used to wean society off of fossil fuel consumption – is also a massive driver behind commodities right now. Not only are base metals like copper, aluminum, and nickel essential for the “electrification of everything”, but lesser-known materials like lithium, cobalt, rare earths, vanadium, uranium, and graphite all play essential roles as well. They do everything from enabling lithium-ion batteries and vanadium flow batteries, to making possible the permanent magnets that generate electricity from wind turbines. "The environment for investing in commodities is the best since 2004-2008." 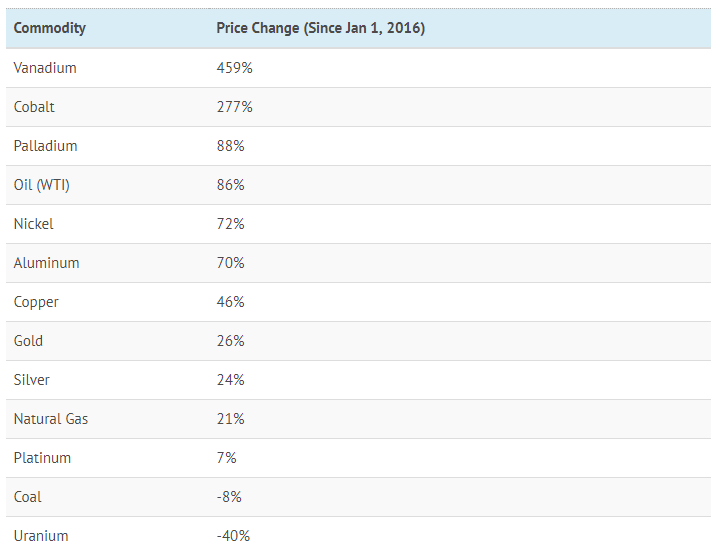 Some minor metals, like vanadium, have increased by over 400% in price in the last two years. That begs the question: how much room could there possibly be for price appreciation left?